Although a set of roles and identities firmly entwined with the construction of the Islamic state have been developed for Iranian women (and linked to their sexualised bodies) by religious and state authorities, women’s public contributions and emerging gender tropes have countered this assigned repertoire. The chapter examines how rather than claiming ‘women’s rights’ or ‘gender equality’ groups of Iranian women adopt a pragmatic stance optimising a state push for public participation to improve health and affect population control, and it is this strategy that has allowed Iranian women an increased freedom of expression and movement. The chapter draws on research with groups that have benefited from the state drive for mass voluntary initiatives to enhance health and also to reduce fertility in the late 1980s and 1990s, groups that specifically addressed sexual and reproductive health and rights. 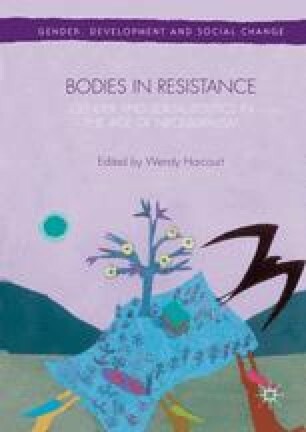 In conversation with anthropologies of politics and human rights, and using critical feminist analysis emerging from law the chapter analyses the significance of these sexualized and symbolized bodies in state and non-state sexual and reproductive health and rights narratives and practices. The chapter questions whether discourses that draw on a limited state language about women and their bodies can lead to an outcome of justice resonant with Iranian women’s wide-reaching claims. These theories refers precisely to a practice that, while set within “power relations and asymmetries amongst languages, regions and peoples” (Femenías 2007), manages to change original meanings. These concepts converge with non-dominating knowledges, so that dominant meanings are destabilized and contestation can be acknowledged. World Bank. 2010. Iran Country Brief (September). [online] http://web.worldbank.org/WBSITE/EXTERNAL/COUNTRIES/MENAEXT/IRANEXTN/0menuPK:312966~pagePK:141132~piPK:141107~theSitePK:312943,00.html, (accessed 4 December 2012).